Seven people were killed and 261 wounded when supporters of Mohamed Morsi clashed with opponents of the former president and security forces in Cairo overnight, the head of Egypt's emergency services said. Some 401 people were arrested over the clashes. Follow RT's LIVE UPDATES on post-coup violence in Egypt. Police allegedly responded after the mob started throwing rocks and molotov cocktails at security forces. There are reports that security forces also used birdshot against the activists. Two policemen were injured in scuffles, according to Ahram Online. At least 22 protesters have been injured in clashes on the 6th October Bridge and on Ramsis Street, Egyptian Ambulance Organization head Mohamed Sultan said. Meanwhile, activists reported on Twitter that up to 300 protesters suffered tear gas inhalation. Egypt’s interior ministry claimed that it had to resolve to using force after activists halted traffic and attacked security forces. The ministry said that protesters were warned “against disrupting public order” before tear gas was fired. Locals at the scenes say no one has been killed so far but that a number of ambulances are on their way. It is reported that pro-Morsi demonstrators blocked off the bridge by parking trucks on both sides, throwing stones at security forces as they deployed tear gas canisters. Street fights also took place between opposing groups in the Gamra district, with both sides allegedly firing birdshot. State news agency MENA also reported firefights near Giza Square in Cairo. 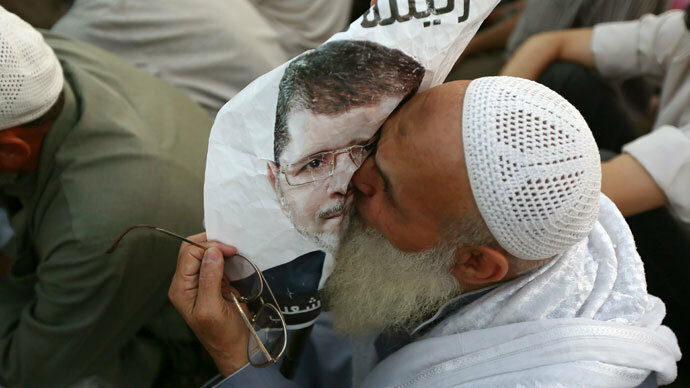 Around 2,000 Morsi supporters marched to the Republican Guard headquarters in Nasr City on Monday, demanding the return of the ousted leader. 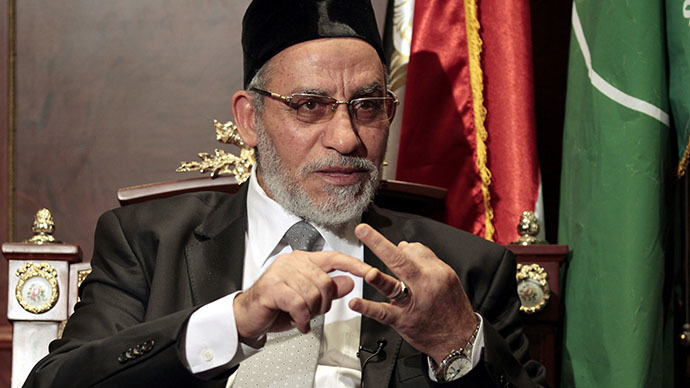 MENA said that another march took place near the Ittihadia presidential palace. Egypt’s Freedom and Justice Party (FJP) has issued a statement following Monday’s protests, Al Jazeera reports. In it, the Islamist party says that security forces fired tear gas canisters and rubber bullets at peaceful protesters who were praying in Ramses Square. Such use of force violates Egyptians’ right to peacefully demonstrate, which is guaranteed to the people of Egypt. The attacks on demonstrators indicate that the new government plans to shed more blood, the FJP stated. It was reported that press crews were attacked as security forces tried to disperse the pro-Morsi crowd. A photographer working for Anadolu News Agency sustained a leg injury in Cairo’s Ramses Square. A team from Sky News Arabia was also allegedly attacked while covering the turmoil in Ramses Square. One group of protesters blocked the 6th October Bridge while another announced a sit-in at Cairo’s Ramsis Square, Ahram reports. The protesters are carrying giant Egyptian flags, banners and portraits of Morsi. 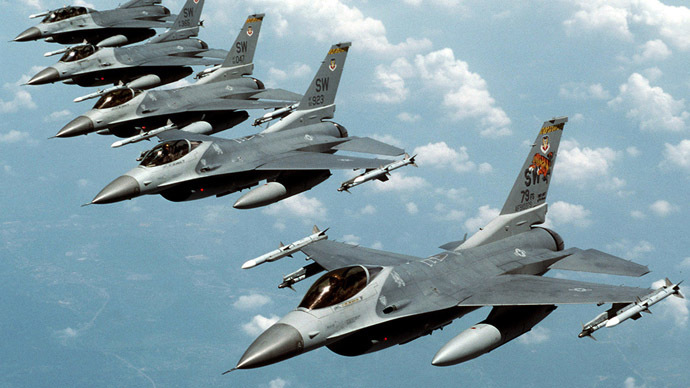 The crowd also accused the United States of instigating and supporting the military coup that removed Morsi from power on July 3. Thousands of Morsi supporters also set up a tent camp outside Cairo University. Local media outlets report that street vendors are refusing to let pro-Morsi supporters stage a sit-in around the city. It was also reported that military police stopped roughly 5,000 Morsi supporters from aiding the activists on Ramsis square near Rabaa Al Adawyia Mosque in Cairo's Naser City, Ahram reports. Meanwhile, those backing the military have staged a support rally in Tahrir square. Smaller pro-Morsi Demonstrations were also reported in Alexandria, Luxor, Damanhour and Suez. Earlier on Monday, the armed forces said they would respond with “the utmost severity and firmness and force” if a crowd approached military bases. The ferociousness of the protests corresponded with the announcement by Egypt's public prosecutor that arrest warrants had been issued for seven senior Islamist figures - including members of the Muslim Brotherhood. 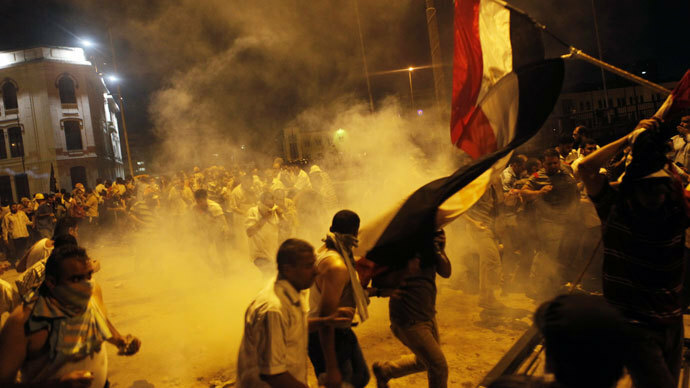 The men are charged with instigating violence during the latest power change in Egypt. The list includes Essam el-Erian and Mohamed el-Beltagi, both of whom were attending a demonstration on Monday, Reuters reported. The two individuals were ordered to be apprehended last week, but so far have not been arrested. The protests also coincide with the visit of a senior US official, Deputy Secretary of State William Burns, who went to Egypt following the overthrow of Mohamed Morsi. Burns met with army chief Abdel Fattah al-Sisi and urged Egyptians to return to civilian rule. He also called on all parties involved to engage in dialogue. The US position on the conflict remains to put “an end to all violence and a transition leading to an inclusive, democratically elected civilian government,” a statement from the US State Department said. 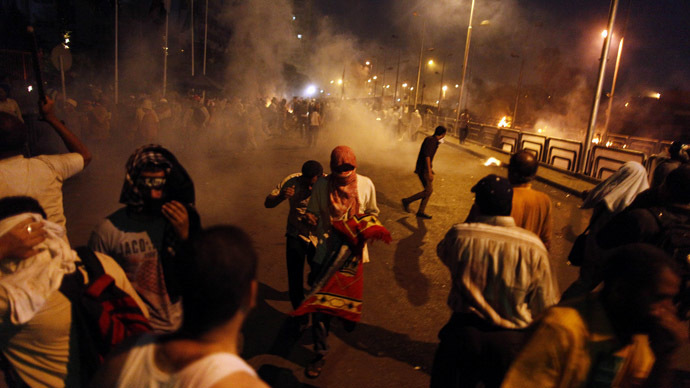 The violence is the first altercation involving pro-Morsi supporters in a week. 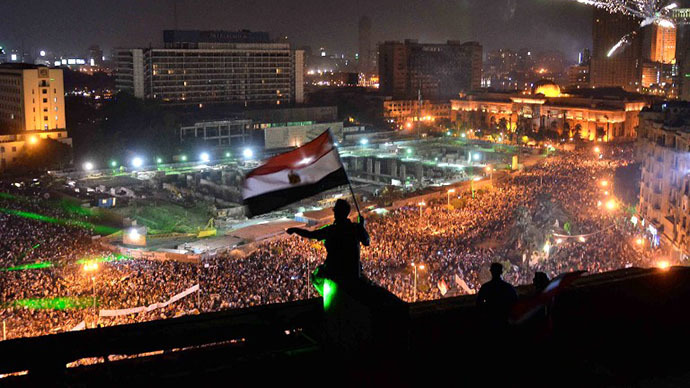 Last Monday 53 pro-Muslim Brotherhood activists perished in massive clashes in Cairo. The army subsequently blamed the deaths on demonstrators.